Blue Lagoon is a cruise trip perfect for you if you want to spend a day enjoying the sea, sun and the amazing landscapes of the islands of Halkidiki. 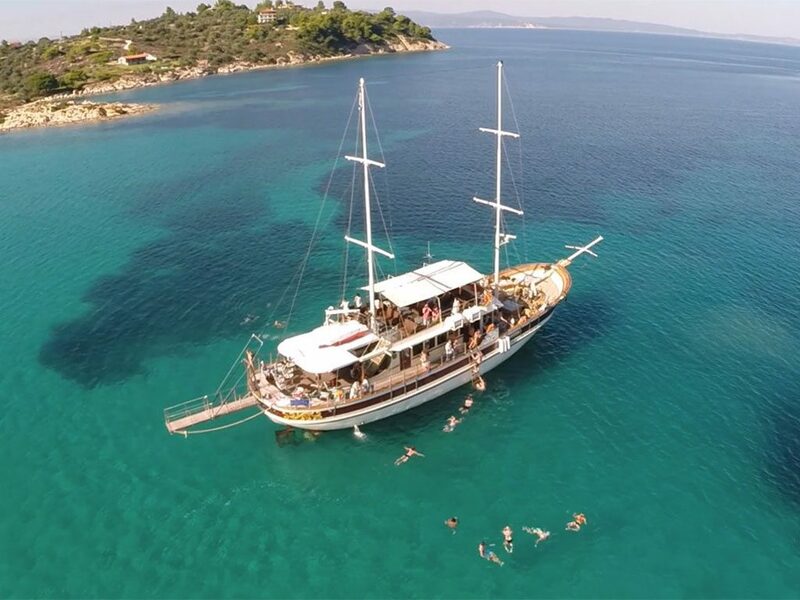 We will set off on the traditional sailing ship having as our destination the most beautiful beaches of Halkidiki like the well-known one ‘Vourvourou’ and the island of ‘Ammouliani’. This cruise will be unforgettable experience for those who want to discover themselves the combination of pure beauty and calmness which characterize the landscapes and beaches of Halkidiki.